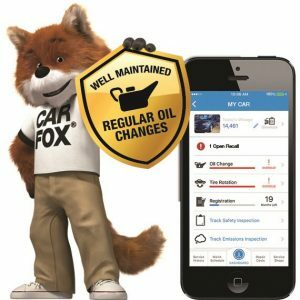 CARFAX Sign-Up – Fast Change Lube & Oil, Inc. Your Fast Change Lube & Oil center makes it even easier and has partnered with CARFAX® to populate your service history within myCARFAX®! The service keeps you safer too by delivering alert notices right to your phone if a safety recall is ever issued on your vehicle. It’s easy – just select your location below and click on “myCARFAX” to Sign Up FREE.